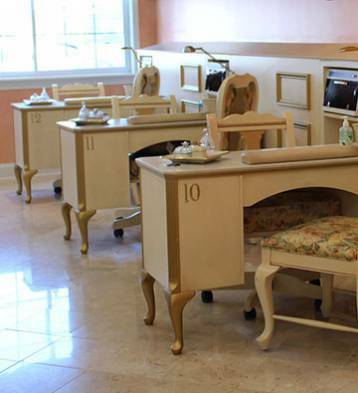 Escape to Le ́ Spa for your next day of pampering, and treat yourself to our complete menu of professional manicures, pedicures, waxing, facials, microdermabrasion, lashes, brows, and permanent makeup. Facials, body waxing, manicures, and pedicures. A perfect gift for someone special or a well-deserved spa retreat for yourself. Relax your muscles and rest your mind as our certified therapist’s skilled touch releases tension and soothes body aches. Semi-permanent, water resistant, beautiful lashes for a naturally abundant look. Comes in various lengths, thicknesses, and colors. Permanent Makeup is a cosmetic tattoo that provides the convenience of not having to reapply makeup daily. Indulge in a Deep Cleanse, Exfoliation with a steam treatment, Extractions followed by a Moisturizer. At Le’ Spa, we take care to provide our customers the best and most relaxing services for your natural nails or for nail enhancements. 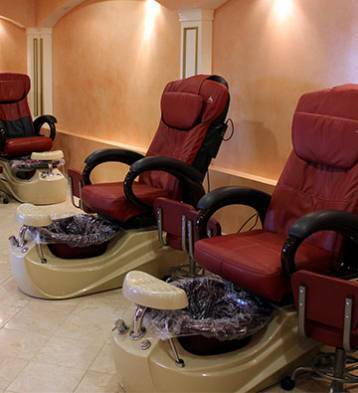 Our friendly and experienced employees will indulge your hands and feet when you come to us.